Conveniently located in the heart of Sunset Plaza, our boutique style, multi-specialty practice offers a wide variety of cosmetic, restorative, periodontic, endodontic, orthodontic, and general dentistry procedures. We are dedicated to enhancing the natural beauty of your smile using personalized and comprehensive dental care in a friendly and comfortable environment. Serving West Hollywood for over ten years, our office brings together a team of dental specialists to provide you with comprehensive care. Our leading West Hollywood dentists and specialists, Dr. Poneh Ghasri, West Hollywood cosmetic dentist, Dr. Bijan Afar, Dr. Peyman Kakoli, and Dr. Allen Yaghoubzadeh, are committed to providing patients with the highest standard of dental care available. For your convenience, we have flexible hours and can accommodate you with early morning and late evening appointments. In case of a dental emergency, we have a dentist on call and make every effort to take care of your dental needs as soon as possible. We accept most insurance plans and offer a variety of payment options to be able to accommodate to the needs of every individual patient. At Sunset Plaza Dental, our team of dental professionals use artistry and precision to give you the elements of a beautiful and natural-looking smile. As one of our best West Hollywood cosmetic dentists, Dr. Poneh Ghasri, offers a wide variety of dental services, including teeth whitening, lumineers, porcelain veneers, tooth colored fillings, porcelain onlays, inlays, and dental bondings. Restorative dentistry focuses on restoring your smile back to its optimal health, which sometimes requires a combination of advanced procedures, such as Full Mouth Reconstruction. In other cases, restoring the health and function of your smile may only require resin or porcelain fillings. Regardless of your dental needs, our team at Sunset Plaza Dental is prepared to serve you using state of the art dental equipment to achieve the best results. At Sunset Plaza Dental, West Hollywood dental office, your periodontal health is extremely important to us. For this reason, we have a very caring, gentle, and skilled periodontist, Dr. Bijan Afar, on our team. Working side by side in the same office, Dr. Afar consults and collaborates with our general dentist and other specialists to be able to provide you with a high level of care. A comprehensive range of periodontal procedures, such as periodontal surgery, dental extractions, bone graft, gum graft and dental implants can be conveniently performed using the latest technology. Endodontic therapy or root canal treatment is a procedure that removes dead or dying nerve tissue and bacteria from inside a tooth. A root canal is performed if you have an infection that affects the nerve in the root of a tooth. For your convenience, our extremely gentle, board-certified endodontist, Dr. Payman Kakoli, has extensive training and experience in endodontic treatment and will grant you the opportunity to have the best diagnosis and care possible. Malocclusion is the improper positioning of the teeth and jaws, which can result in mild discomfort and the embarrassment of crooked and crowded teeth to severe pain, clicking, and headaches as a result of TMJ disorders. 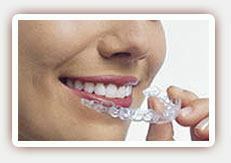 Dr. Poneh Ghasri, our West Hollywood dentist is Invisalign certified and was recognized as a preferred provider by Align Technology. Our team of experts also work together to treat patients who suffer from TMJ disorders and snoring. 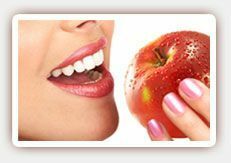 Oral health is directly related to your overall health. 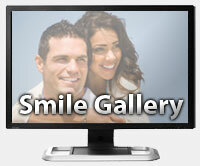 At Sunset Plaza Dental, we focus on enhancing your smile while maintaining oral health. We also emphasize preventive care and patient education by performing comprehensive oral exams and checking for periodontal disease as well as oral cancer screening. 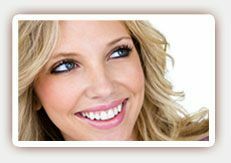 Our West Hollywood dentists are not just focused on the cosmetic aspect of your smile but also your overall health. We at Sunset Plaza Dental would like to welcome you to our website, and we hope that you will find all the information you need easily. You can contact us at (310) 873-3787 with any questions.